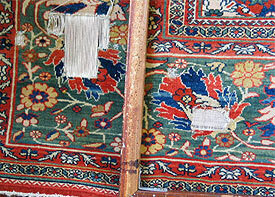 Antique Rug Company offers Persian rug repair services to the San Marino area with pick-up and delivery available -including zip codes 91108 and 91118. 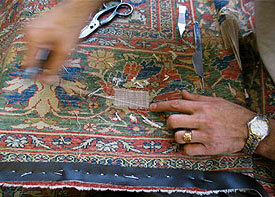 We can repair any handmade or machine made area rug — Persian, Oriental, Navajo, mechanical or other type — guaranteed. 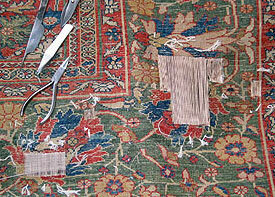 Examine your rug thoroughly to determine if Persian rug cleaning is beneficial or necessary. Pick-up and delivery from and to your San Marino location is available upon request.